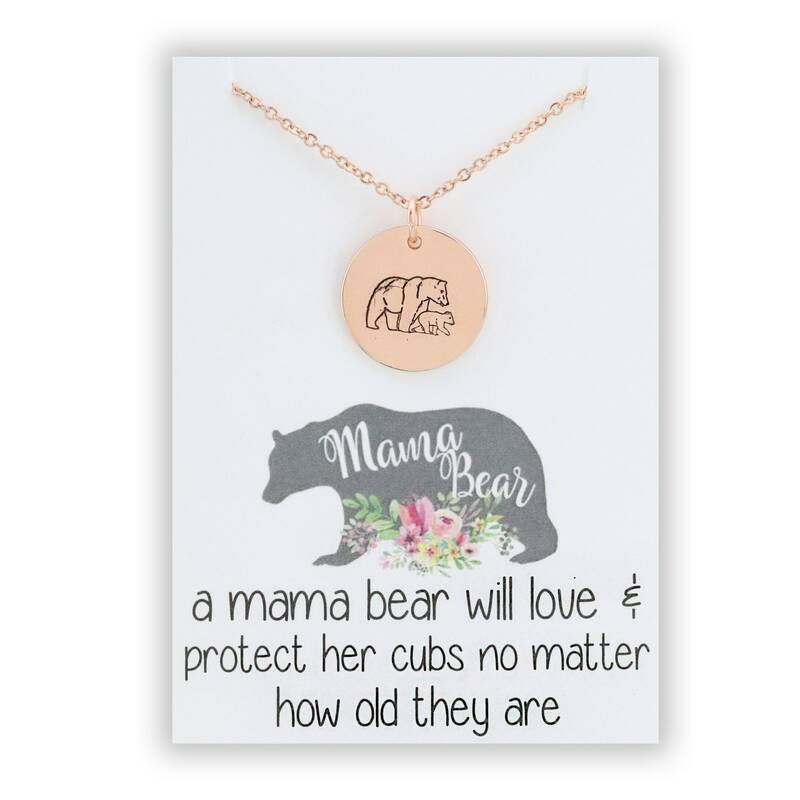 These adorable mama bear necklaces feature a stamped disc measuring .875 inches (7/8") and will come on an 18" chain. 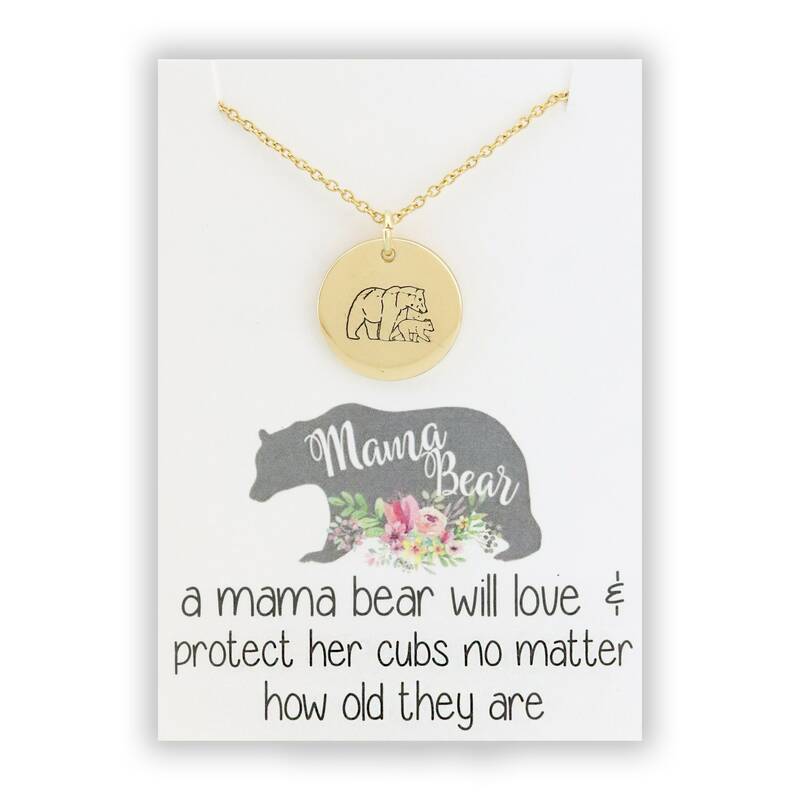 They will also come wth the pictured quote card. 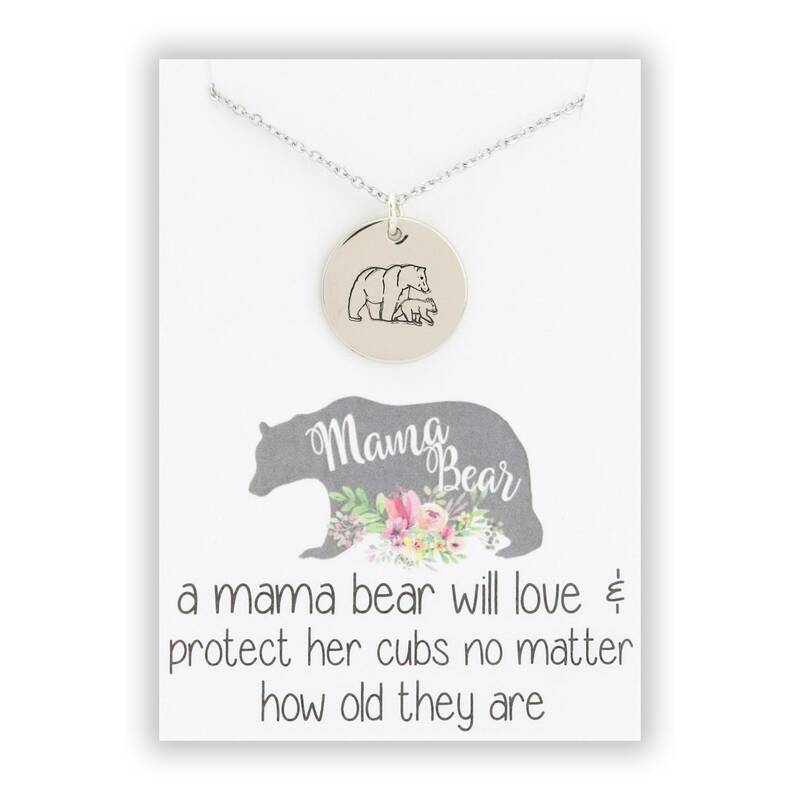 These are a highly polished alloy metal with a stainless steel hypoallergenic chain.